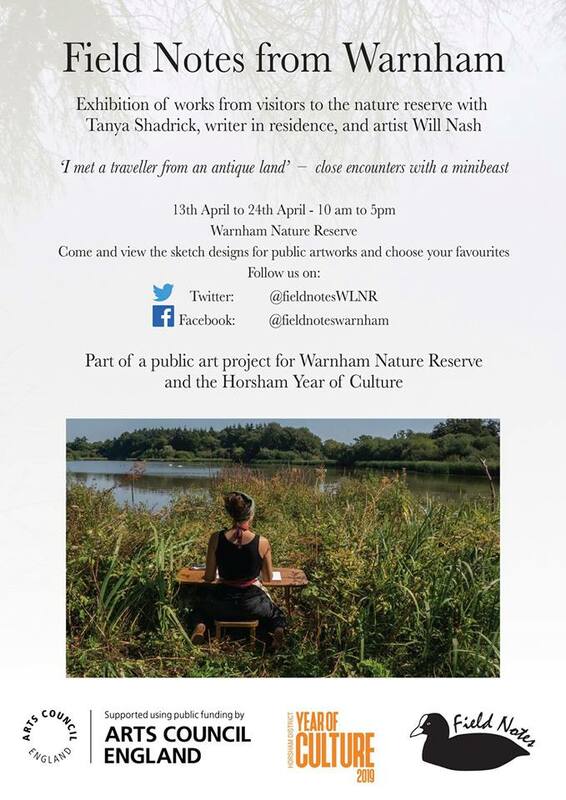 Come along to the Visitor Centre at Warnham Nature Reserve to see the exhibition of designs for permanent artworks, and images and words from workshops held at the Reserve. The poem ‘Ozymandias’ has been the inspiration for the project; our travellers from antique lands are the migrating birds and minibeasts found in the reserve. Writer in residence, Tanya Shadrick, has been busy meeting people in the reserve and working with groups of school children. 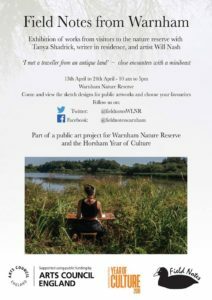 Artist Will Nash has spent time in the reserve and has designed a number of potential sculptural pieces to add to the natural collections. 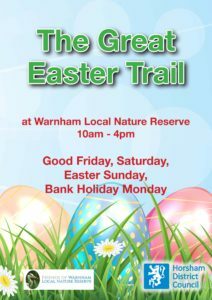 Our annual Easter Trail will be taking place over the Easter Weekend between 10 and 4 each day. 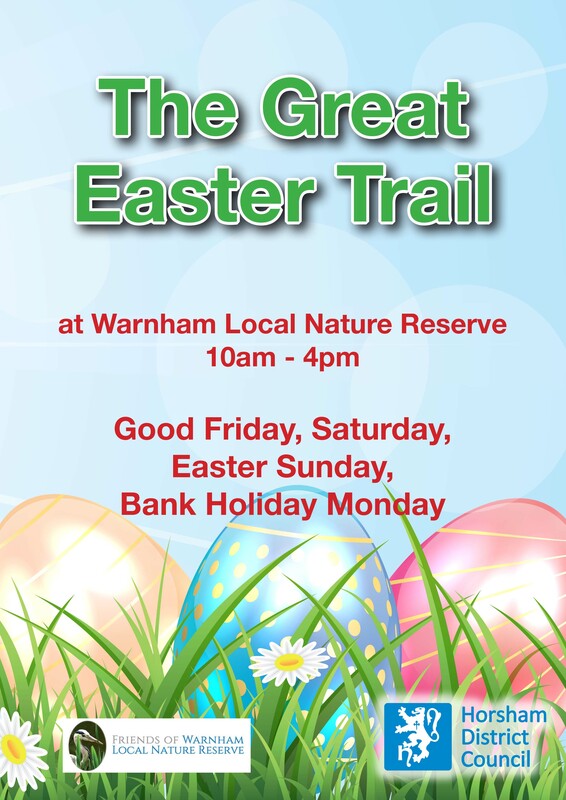 Drop in anytime over the four days for a nature based activity trail for kids of all ages. 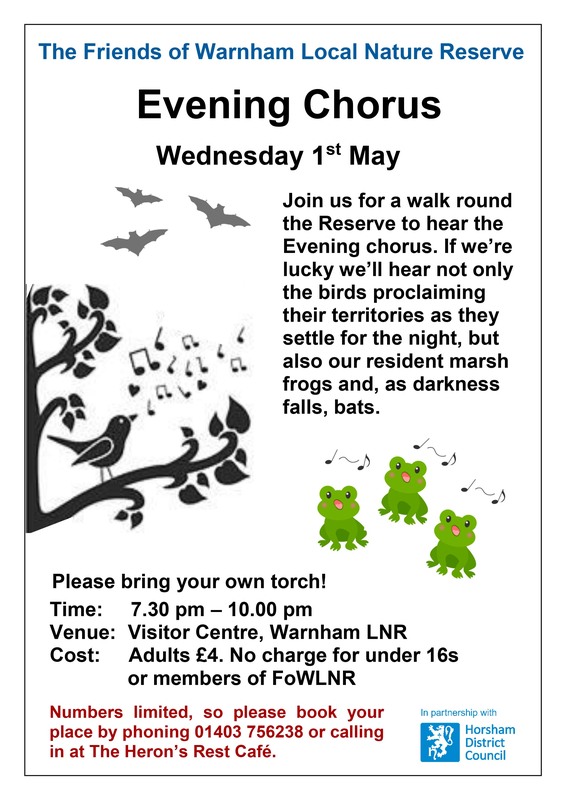 Instead of the traditional Dawn Chorus, this year we will be walking the Reserve towards dusk to hear the Evening Bird Chorus and listen out for bats using bat detectors. Join our wardens for a practical demonstration of bird ringing and experience the thrill of seeing what comes out of the collection bags at close quarters. Our annual activity day for children, with mini-beast hunt, pond dipping, crafts, and the Creepy Crawly Trail. 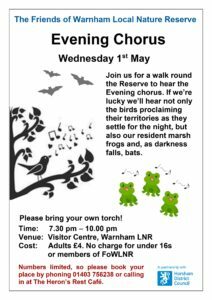 An after-hours stroll around the Reserve and the chance chance to socialise with other members.